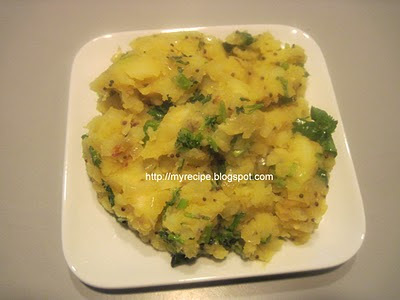 Heat a pan with oil add mustard seeds and when it splutters add the onion, chili , curry leaves and ginger. Saute the onions then add boiled , mashed ,potato turmeric powder and salt. 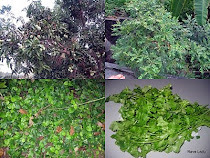 Mix well ,sprinkle the coriander leaves. Soak the rice and dhal, separately for 6 hours and grind finely. Add salt and keep . 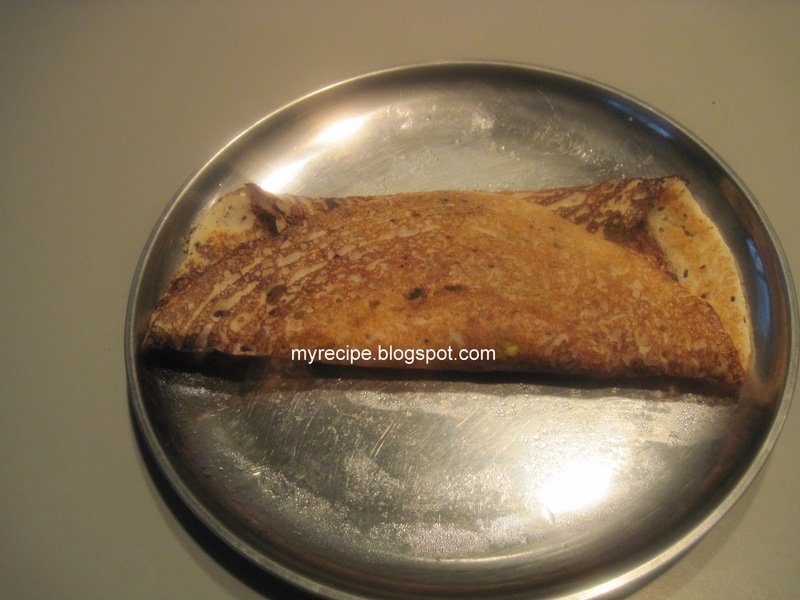 Heat a dosa pan, apply oil and make dosa. Turn it and cook both sides.Place the masala at the center and fold it. 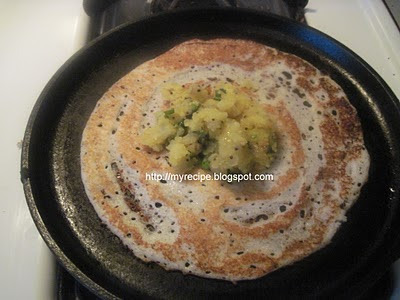 The dosa looks lovely... my all time favourite..